A 2015 Talent Trends report from LinkedIn found that 83 percent of the 20,000 professionals surveyed said that a negative interviewing experience can change their mind about a position or company. It’s a job seekers market. If your interview process leaves a bad taste in a candidate’s mouth, they’ll move right to the next opportunity and you’ll lose out on quality talent. A lot of time and energy went into perfecting your company’s interview process. Whether it involves video interviews, personality and skills assessments, or panel interviews, the process is customized to tell you exactly what you want to know about candidates. But is it what job seekers are expecting? The interview is no longer just an opportunity for hiring professionals to learn about the job seeker. It’s now also the candidate’s opportunity to feel out the company. Once you’ve interviewed talent, you want to make sure quality candidates still want to work for you. Expectation #1: To talk to their future manager. Reality: Job candidates often don’t meet or interact with their manager until their first day on the job. The same LinkedIn survey showed that the most important thing for 53 percent of candidates was to talk to their future manager. A supervisor’s time is valuable, but prospective employees want to know who their boss will be. Even if they’re not available for the entire interview, introducing managers and candidates allows them to begin building a relationship. Candidates can see how their future boss communicates and what it’ll be like to work for them. If the number of candidates or the amount time makes it unfeasible for the manager to meet with everybody, consider other options to introduce them to the interviewees. Allow candidates to talk with a current employee to get an honest description of the management style. You should also record a video of the manager giving their background information and a summary of what they expect out their team that you can show to all prospective employees. This way, even though they don’t physically meet their future boss, job seekers at least have a face and a voice to put to the name. Expectation #2: Information to prepare. Reality: The majority of candidates don’t even know the name of the person they’ll be interviewing with. Candidates want to walk into an interview feeling confident of their success. It’s hard to allow them that comfort if they have no idea what they’ll be facing. Only 26 percent of the more than 95,000 candidates surveyed for a 2014 report by Talent Board were given a detailed agenda before the interview. Let the interviewee know if they’ll be completing something a little different, like a skills assessment or a panel interview. There’s really no reason to keep those details under wraps. If anything, it’s those very details that ensure you’ll be seeing the most polished version of the candidate come interview time, as candidates will be better prepared. Also, be sure to give them the names and basic background information of their interviewers. They’ll feel a lot more at ease knowing they’ll be talking to Lisa, the human resources manager, instead of some faceless, titleless hiring professional. If your company has a peer mentoring program, this would be an excellent time to introduce a candidate that has recently been through the interview process. The mentor can answer any questions or give any advice that the job seeker might benefit from. The mentor can also act as a second opinion on the candidate and give you feedback on whether they think they’ll make a good addition to the team. Expectation #3: You to do your homework. Reality: Interview questions are generic and the interviewer has to keep referencing the resume. When Matt comes in for an interview, he wants to know you’re considering hiring him as seriously as he’s thinking about working for you. Make sure you’ve reviewed his resume. Read it, don’t just glance at it. His background is already in your hands. Skip time-consuming questions like “tell me about your last job,” and ask him to give examples of his project management skills instead. Also, remember that there are things that can’t be listed on a resume. Nowadays candidates expect that you’ll check out their social media profiles when you’re considering them for a job. Take a look at their LinkedIn profiles, for instance, and see if anything stands out to you or seems pertinent to the position they are applying for. Perhaps the job listing didn’t ask for coding skills, but Matt has it listed on his LinkedIn page. If that type of experience is something the company values, in general, prepare questions about it for the interview. By doing your homework and formulating custom interview questions for each candidate, you’ll be able to delve deeper into what they can bring to the company. You might even find out something of value you would have never known with just the run-of-the-mill “tell me about your experience” queries. Asking a candidate questions that are different and catered specifically for them will make them feel special during and after the interview. Expectation #4: To experience the company culture. Reality: The hallway leading up to the interview room is the only glimpse candidates get into the office space. Good candidates want to feel like they’ll fit in at a new job, so let them experience the company culture during the interview process. The 2015 CareerBuilder Candidate Behavior Report found that only 19 percent of job seekers toured the office and only 12 percent were able to meet other employees during the interview process. Show prospective employees what it’s actually like to work for the company by showing them examples of past projects, having them sit in at a weekly team meeting, or letting them spend time with the co-workers they’ll be interacting with. Even if it’s not feasible to get future and current employees in the same room, consider scheduling video interviews with at least one employee. Make company culture videos that you can include in all of your job postings. Identify what it is about your workplace that is special and build a video around that. Feature employees at their favorite place in the office talking about the company values that mean the most to them and what’s given them the most satisfaction in their job. This way, any potential employee can have an inside look at what it’s like to work for your company before they even apply. You can also keep job seekers up to date about what’s going on in your workplace with posts on social media. When your company softball team wins a big game, tweet about it. Share pictures of employees relaxing in the break room or during a brainstorming session. Post bios or interviews with employees of the month. This will show that employee happiness is something your company values and strives to achieve. What about the lobby your interviewees wait in? If it has bare, bland walls, it doesn’t give the best impression of your company while candidates wait. Hang pictures of company picnics, charity events, and holiday parties as a simple way to expose them to your company culture. This will allow candidates to envision themselves in the office on both their first day and five years down the road. Reality: Candidates leave the office without anyone actually telling them how things went. Even if you aren’t going to make them a job offer, candidates want feedback after the interview process. This shows them that you care about their future success, even if it’s not with your company. Job seekers rule the job market right now, so it’s important to maintain a positive company brand with former candidates. That little extra effort of providing feedback will stand out to job seekers. Ending the interview on a good note makes it easier for them to recommend your company to people within their professional network. And, who knows? They might connect you to your next superstar employee. And remember Matt? While he wasn’t right for this particular position, he might be perfect for one that opens up later in the year. In fact, the aforementioned 2015 LinkedIn study showed candidates are four times more likely to consider a different opportunity with a company that provided them with constructive feedback during their first time going through the interview process. Ideally, feedback should go both ways. Create an online survey that you can include in follow-up emails. Ask about all aspects of the job application process — include questions about the job posting, the interview process, and communications with the company. This will allow you to continually perfect your process and maximize job seekers’ satisfaction. 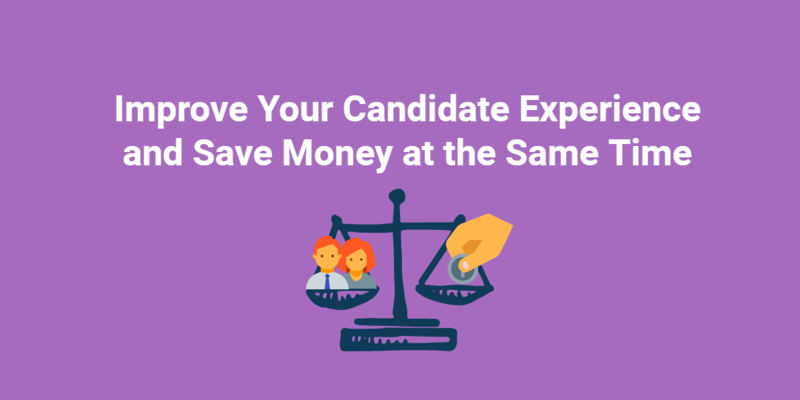 Plus, candidates will feel like their opinions matter to you, even if you chose not to hire them. Are you taking the time to give candidates feedback after the #interview process? 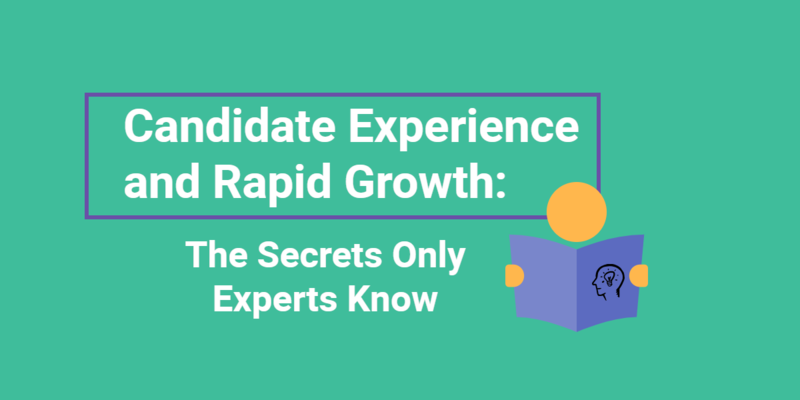 Expectation #6: A follow-up letting candidates know where they stand. Reality: The 2015 CareerBuilder Candidate Behavior Report found only 17 percent of candidates had been notified that they were not selected for the position. From the moment the candidate leaves your office, they’re waiting to hear from you. Put them out of their misery and contact them in a timely manner. The first communication after the interview doesn’t have to be an immediate job offer, but at least provide the candidate with information and a timeline about the rest of the hiring process. Every company’s process is different, so there is no way for a candidate to know how long to wait, unless you tell them. It’s unrealistic to expect good talent to sit around in the dark while you make a decision. If they don’t hear from you, it won’t be long before they’re back combing the job boards for the next opportunity. Keeping in contact with candidates throughout the entire process will maintain their interest in both the position and the company. Why not send job candidates thank you notes after an interview? It’s now considered a must for candidates to thank their interviewer, but the candidate’s time and interest also deserves recognition. Realize, however, that people prefer to get good and bad news in different ways. Based on the LinkedIn report, if things aren’t going to work out with the candidate, 65 percent of professionals said they’d rather find out in an email. If you are going to make them an offer, call them; 77 percent said they preferred to receive good news over the phone. What other ways can you make sure the candidate experience is favorable and that job candidates make it through the interview process with a positive view of your company? Share in the comments below!